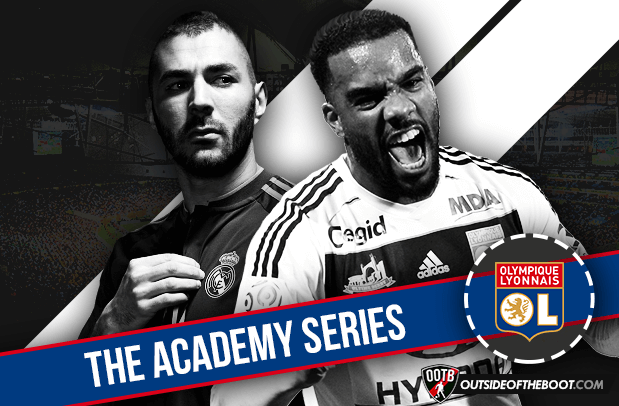 With the dismissal of Hubert Fournier just one of in a string of disappointing events in Olympique Lyonnais’ current season, a look at their exceptionally productive academy might prove a moment of respite for those who are down on the club’s prospects at the moment. Named after a murdered resistance leader, the Centre Tola Vologe has been unquestionably France’s strongest academy over the last fifteen years or so, even if not all of its graduates have ended up featuring for first team. Last season’s surprising second-place finish in Ligue 1 brought the academy’s fruitfulness into sharper focus, as a team that often featured eight academy graduates in its starting eleven ran Paris Saint-Germain surprisingly close for the title. However, the current crop of first team players are merely continuing on the path to success that has been long-established at the club. President Jean Michel-Aulas and his advisor, Bernard Lacombe, have long placed great emphasis on developing youth, not only as an inexpensive way to boost the first team, but as a financial investment as well. It is no coincidence that the sale of Karim Benzema, for example, preceded the club’s best ever Champions’ League finish, his move to Real Madrid funding the acquisitions of players such as Michel Bastos and Lisandro Lopez. While there have been deviations from this strategy, notably in the club’s acquisition of Yoann Gourcuff from Bordeaux in 2010, using youth as a renewable resource has been at the core of Lyon’s success over the past fifteen years. The ten players listed below could easily be part of a list twice as long, and more are sure to follow them, given the recent achievements of France’s various youth squads. While the start of this season has proven to be a difficult one for Alexandre Lacazette, there is no questioning his achievements since the beginning of last campaign. Brought to the club at 12 from the now-defunct ELCS, Lacazette’s development was somewhat of a slow burn for his club, even if he was racking up the honors for his country at youth levels. Upon his arrival into the first team, he was firmly behind Bafetimbi Gomis and Lisandro Lopez in the pecking order, and when he did get his chance, it was often wide on the right, as first Claude Puel and then Remi Garde utilized a 4-4-2 with two holding midfielders. Full of pace and dribbling ability, Lacazette was a dangerous presence both crossing and with the ball at his feet, but it was not until 2013-14 that he really hit his stride. When Lopez left the club in 2013, Garde switched to the diamond formation that Lyon have continued to use until the appointment of current manager Bruno Genesio, and Lacazette partnered Gomis up top. Both notched fifteen goals in the league, and despite failing to reach the group stage of the Champions’ League, a run to the Coupe de la Ligue final and the last eight of the Europa League capped a promising start to Lacazette’s career as an out-and-out striker. Last season, though, was a fierce demonstration of his ability to continue to improve, as, surrounded by more mobile attackers, he notched an astounding 27 goals in 33 appearances in the league, adding 5 assists and leading the league in scoring. He was also named the league’s best player, an impressive achievement considering the track record of several players at Paris Saint-Germain. While the losses of his running mates in last year’s attack, Clinton N’Jie and Nabil Fekir, has somewhat limited his effectiveness in the current campaign, a superb hat trick against bitter rivals Saint-Etienne showed that Lacazette remains a dangerous player. Born just four months before Lacazette, injuries have prevented Grenier from being at his best over much of the last two years, but his recent return is a potent reminder of his abilities. Initially a poor fit tactically in a 4-4-2 driven by wing play, Grenier also struggled with discipline in 2011-12, the first season in which he was generally included in the squad, notching a straight red and seven cautions across all competitions in just 1400 minutes. While the likes of Miralem Pjanic and Yoann Gourcuff had kept Grenier on the fringes of the squad, the injury history of the latter and the sale of the former gave him his chance in the 2012-13 season. With Gomis and Lopez ahead of him, Grenier struggled somewhat with injury in the campaign’s early stages before coming to life with four goals and two assists in the season’s last seven matches, his play and that of Anthony Lopes allowing the club to hold off the hard-charging Nice and Saint-Etienne to book a return to the Champions’ League on the season’s final day. Much was expected of both he and the club the following season, Grenier having become a regular inclusion for Didier Deschamps by season’s end. However, it wasn’t to be as a wholly disappointing loss to Real Sociedad in the play-off round of the Champions’ League and failure to re-qualify in the league capped a campaign seen by many as a write-off. Tall and lanky, with an eye for an elegant pass and a long list of stunning free kicks, Grenier was seen as a natural successor to Gourcuff both at Lyon and international level. However, his recent injury history has been as equally troubling as that of the former Rennes man, only playing in a handful of matches in the last two years. Still, Grenier is only 25 and if he can recapture some of the form that made him such a success two seasons ago, Lyon’s season may still hold some promise. The casual fan of football probably regards Loic Remy as either the brilliant striker whose goals were key to Newcastle’s survival two seasons ago, or the handsomely paid ever-present on Chelsea’s bench. While the truth lies somewhere in between, Remy’s failure to usurp Diego Costa as the London club’s preferred center forward had seen him agitate for a move to Leicester City. While he remains at the London club at present, when given a consistent run in a side’s starting eleven, Remy has generally produced, having delivered not only at Newcastle but also during his spells at Marseille and Nice. Capped more than thirty times by France, although not in 2015, Remy is an instinctive finisher, quick, a fine header of the ball and intelligent. Able to operate on the wings as well as a center forward, his versatility made him a great favorite of Deschamps, especially as his style of play is similar enough to Karim Benzema’s to provide continuity when the Real Madrid man is unavailable. While a lack of playing time at club level, as well as the rises of Antoine Griezmann and Anthony Martial means that Remy is not lately an important piece for his country, that is not to say his talent has dimmed in any way. While Nabil Fekir had an itinerant career to some extent before permanently re-joining Lyon in 2011, his place of birth and years spent in and out of the Centre Tola Vololge mean that the club should rightly claim him as a youth product. 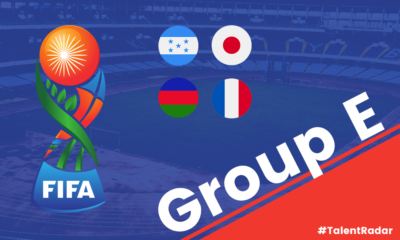 In and out of the side in the absences of Clement Grenier and Yoann Gourcuff two years ago, Fekir was merely an interesting prospect before blossoming last year as the focal point of Hubert Fournier’s diamond 4-4-2. Powerful enough to hold off defenders, yet quick and tricky enough to move past them, Fekir is the complete package, operating either as a play-maker or as part of a strike partnership. Two-footed and with a wicked shot, Fekir is a master at playing the ball along the ground, quickly linking play or drawing fouls, the type of transcendent talent upon which a world-class team could build. Indeed, that was the case in France’s September friendlies, as Didier Deschamps moved to use an experimental 4-3-1-2 against Portugal. Played next to Karim Benzema, with Paul Pogba behind, Fekir’s tricky qualities would draw defenders, allowing the Juventus and Real Madrid players more space in which to operate. A bold move considering how closely Deschamps had stuck to his preferred 4-3-3 in recent years, the experiment ended all too quickly as Fekir was felled with a ruptured cruciate. His importance for his club has been underlined by their struggles in his absence; while there will naturally be doubts until he returns to something resembling his best, Fekir is nevertheless one of the most complete attacking players going right now, and Lyon should be proud of how they have honed his talent. It’s hard to believe that it’s been eleven years since a seventeen-year-old Karim Benzema made his Lyon debut against Metz. During a somewhat star-crossed career, the striker has been hailed as both his club and country’s savior and a morally bankrupt star whose agitations in leaving Lyon were unbecoming of a truly world-class player. While his current season with Real Madrid has been unsettled by allegations relating to a scandal involving France team-mate Mathieu Valbuena, his scoring record, 23 goals in 22 matches in all competitions, speaks for itself. Hard working and unselfish on the pitch, Benzema took some time to settle in with Los Blancos, but has generally been a success, a striker whose willingness to make space for Cristiano Ronaldo is an unheralded asset. The perfect balance of pace and power, Benzema’s ability to link play in a versatile manner has been at the heart of much of Real’s success since his arrival, averaging better than a goal every other match since his arrival. It is true that his numbers with France are less impressive, but his mobility at the top of Didier Deschamps’ 4-3-3 has allowed the likes of Antoine Griezmann and Mathieu Valbuena plenty of space in which to operate. Were he at a club other than Real Madrid, Benzema would receive more notice, but even in the shadow of Ronaldo, the striker is still one of the world’s best twenty or so players, the most accomplished on this list. The veteran of Lyon’s current crop of academy products, Maxime Gonalons nevertheless experienced a similarly meteoric rise to the likes of Nabil Fekir and Corentin Tolisso upon his debut. A bit-part player upon being given his first professional contract for the 2009-10 season, by the campaign’s end he was starting both legs of the Champions’ League semi-final exit to Bayern Munich, having scored in the club’ s famous win at Anfield in the group stage. The personification of reliability with a number of managers and in various tactical setups, Gonalons has been integral to Lyon’s success in the face of forced sales of many of their top players. An ever-present who rose rapidly to prominence as the likes of Kim Kallstrom, Lisandro Lopez, Bafe Gomis and others were moved on, Gonalons’ position at the base of midfield has never been in doubt, nor his leadership abilities. While news of a potential move to Napoli in the recent past may have unsettled the player, he gave no indication of it on the pitch. Despite the possibility of a move to one of Italy’s premier clubs, Gonalons nonetheless comported himself as befits a captain. 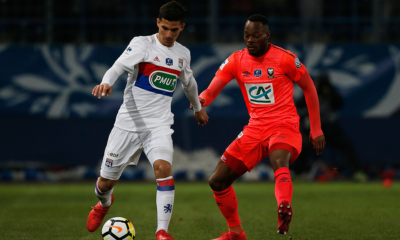 The figure to which Lyon’s raft of youngsters can easily look for guidance, it is hard to conceive of much of Lyon’s current success without their reliable midfield metronome. While Hatem Ben Arfa has been dogged with the label of being petulant, there is no denying his incredible ability with the ball at his feet. Originally from the Île-de-France area, Ben Arfa spent much of his youth career at various clubs around Paris, before being selected for the Clairefontaine academy. His time there proved less than fruitful, however, and he soon moved on to Lyon, joining the club’s academy aged 15 in 2002. After two years in the developmental squads, he signed his first professional contract at the same time as Karim Benzema, both players joining the senior squad in 2004. His spell with the club was less than happy, however, as a succession of managerial changes led to him not really being a consistent starter until 2007-08, when he managed 43 appearances across all competitions. However, a training ground incident with Sebastien Squillaci soon led to his being placed on the transfer list. A €12M move to Marseille followed and soon after, a transfer to Newcastle, where, after recovering from a serious leg injury, he helped the Magpies to an unlikely fifth place in 2011-12. Things soon soured there as they had at Lyon, however, and he moved on to Hull, only to find himself unhappy there as well, leaving the club in an attempt to force a move to Nice. 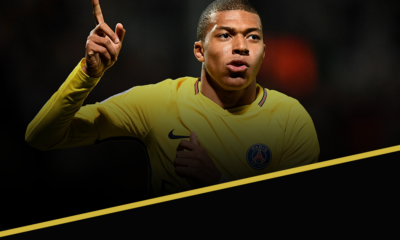 He lost half a season due to transfer regulations, but has subsequently been one of Ligue 1’s brightest players, even earning himself a recall to the France team. Despite this, Ben Arfa’s story is still one of wasted talent. While he is still 27, not yet an old player, comparing the number of caps he has for his country (15) to that of the similarly aged Benzema (81) speaks for itself. A move to a bigger club beckons this summer, and the hope remains that Ben Arfa may yet make an impact at a truly top club. While the pint-sized Giuly never made much of an impact for France, his club career is impressive indeed. A local product, Giuly won the French youth cup, the Coupe de Gambardella in 1994 and was promoted to the senior side the following season. At the age of 20, he scored 16 goals to finish second on the team behind Alain Caveglia, leading Lyon to a UEFA Cup place. The following season, however, he was moved to Monaco where he enjoyed some of his greatest success. Playing either on the wing or as a second striker, Giuly propelled the principality club to a league title, as well as Coupe de la Ligue and a Champions’ League final before departing for Barcelona. Despite his age and a lack of recognition alongside the likes of Ronaldinho and Samuel Eto’o, Giuly played a key role in leading the club to successive league titles and a Champions’ League victory under Frank Rijkaard, scoring the only goal over two legs in a hard-fought semi-final victory over Milan. With the emergence of Lionel Messi the following season, Giuly’s playing time was limited and he then moved on to AS Roma, before spending three seasons as a key player in a pre-QSI Paris Saint-Germain side. Brief spells with Monaco and Lorient followed before he joined the fourth-division side Monts d’Or Azergues, who play in the auspiciously named Stade Ludovic Giuly. While success with Les Bleus evaded Giuly, his penchant for the spectacular on the biggest stages in his club career make him well worthy of inclusion in this list. Despite being named African Footballer of the Year one less time than El Hadji Diouf, Frederic Kanoute’s illustrious career’s Lyon roots deserve a mention on any list of this nature, despite not living up to expectations in London. Born to a Malian father and a French mother in the suburbs of Lyon, Kanoute was snapped up by the club’s academy and impressed early in his career, often featuring for France’s U-21 side despite having his club opportunities limited. With this the case, he moved to West Ham United on loan, a move that was eventually made permanent. Scoring freely in his first season in east London, Kanoute soon moved across town to Tottenham Hotspur. Despite scoring eleven goals in his first season at White Hart Lane, the player soon moved to Sevilla. Having made his international debut for Mali while with Spurs, in Andalusia, Kanoute blossomed for club and country, winning a pair of Copa del Reys and the UEFA cup twice as well. Despite being 6′ 4″, Kanoute, whose career ended in China 2013, was far from the archetypal striker. An instinctive poacher but also an elegant dribbler and creative passer, Kanoute was style personified and despite a lack of global recognition, one must wonder what may have come of his career were he afforded more opportunities at an early age. Always a slow burner, Sidney Govou joined Lyon’s academy only at 17, finishing his studies before lining up for their amateur sides. While it took him an additional three years to make his senior debut, turning out only at the back end of the 1999-2000 season, against Auxerre. A fringe player for the rest of that season, Govou soon developed into an important player for the club and for the U-21s, losing the final of the European Championships in 2002 to the Czech Republic. Shortly thereafter, he became a member of the full national squad, earning fifty caps and scoring ten goals, impressive achievements for never having been a integral part at a major tournament. Generally deployed on the right wing, Govou was the quintessential flair player. A tricky dribbler, pacy and also a good header of the ball for his size, his ability to drag defenders out of position or draw fouls made him the perfect foil for the likes of Juninho, Sonny Anderson, Fred, Sylvain Wiltord and others. One of very few players who were present for all of Lyon’s seven consecutive titles, Govou maintained a stellar injury record and despite never really scaling the heights of his more illustrious teammates (Karim Benzema, Michael Essien) in terms of big transfers, played a key role for the club throughout their golden years. Beyond the current crop of players, which also includes first team regulars Samuel Umtiti, Anthony Lopes, Corentin Tolisso, Jordan Ferri, Rachid Ghezzal and Aldo Kalulu, the cupboard is far from bare at Lyon. At this summer’s U-19 European Championships, central defender Mouctar Diakahby was a key part of a gallant run to the semi-finals, while fellow defender Louis Ngaioni helped lead the U-20s to a title at the Toulon Tournament. Midfielder Timothe Cognat has turned out several times for the French youth setup as well, most recently winning the Copa del Atlantico with the U-18s. While, given the youthful nature of most of the first team players, it may be a while before this trio make an impact with the senior side, they serve as good evidence of the club’s continued focus on developing young talent.